Posted on September 25, 2014 by revivewa	in Uniting Generations and tagged 1, Life-giving. 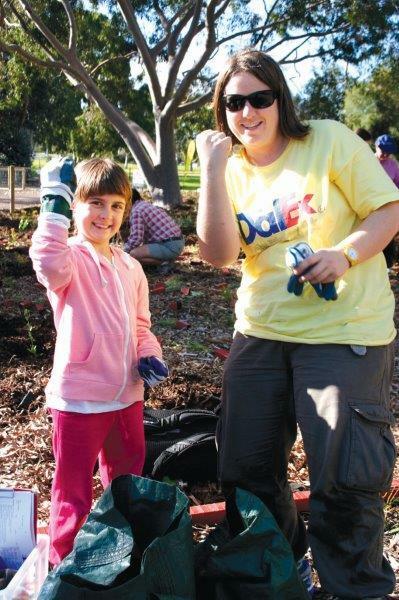 The Metro West Region held their first Church and Community Tree Planting Day in 2012. It was less than three months after I started as the First Third specialist in the region. I needed an event that would be intergenerational and active, that could involve the local community and which would build relationships between people in my group of churches as well as making a difference. 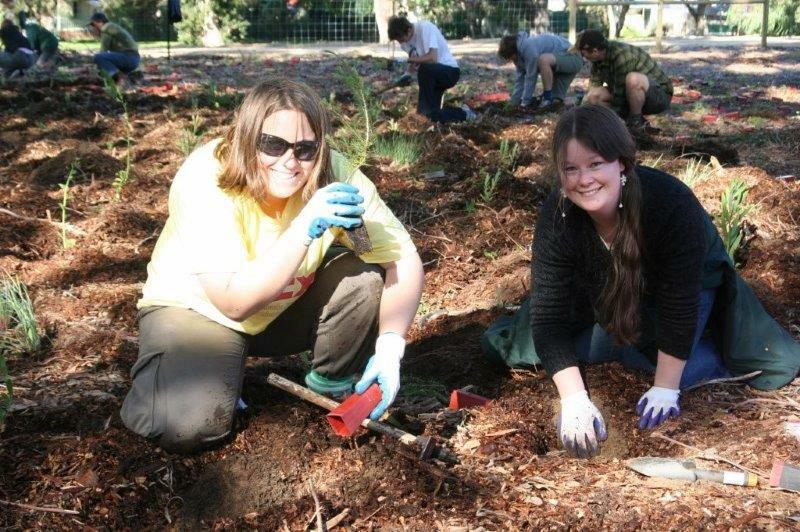 I settled on planting trees at Lake Claremont with the help of the Friends of Lake Claremont, who are conducting a major volunteer revegetation program at the lake. On the day, about 25 people showed up to help restore the wetland and provide habitat for local fauna. Some of the children participating had never planted trees before, but they dived in with energy. Everyone played their part. The ministers helped to plant, families worked together, children too young to plant collected the empty pots, and some older church members who couldn’t plant brought delicious baked goods for the friendly morning tea afterwards. In 2013 we had a beautiful day and almost 40 volunteers came to help plant about 1400 trees. This included members of the local community who had seen the posters, girls from local schools looking to build-up their community service hours and people from several churches. We also added an optional time of prayer before the planting to pray for the trees and to reaffirm our commitment to caring for the environment as an act of faith and Biblical calling. This year it rained for the whole week before our planting so numbers were down, but we still had a lot of fun. I was also excited to have one of the families from our Scarborough Kids Animal Club – an outreach program for primary students run as part of our First Third Ministry – attend for the first time. The tree plantings have been wonderful experiences. We have all had fantastic conversations while digging away, enjoying the fresh air, the exercise and the company. Also, there is something magical about planting the trees and being part of these new lives. Most people seem to instinctively understand how this is worship. It is a powerful reminder of our connection to all creation and to each other. If you would like more information about the tree planting, or how to start your own, email Jessica.morthorpe@wa.uca.org.au. Top image: Emilija and William Jacobs help plant trees at Lake Claremont for the first time this year.